Here’s something you don’t see every day: an official gubernatorial proclamation that’s worth a couple minutes of your time. Most such proclamations are milquetoast, of course: bland recitations of noncontroversial truisms that usually do little more than serve as backdrop for honoring a group or individual — a ball team or a retiring politician. 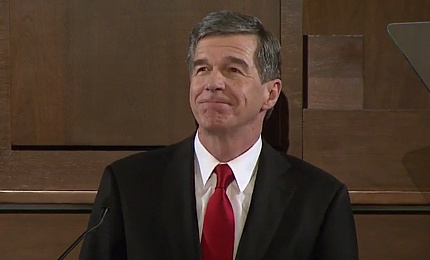 NOW THEREFORE, I ROY COOPER, Governor of the State of North Carolina, do hereby proclaim April 23-27, 2018 as “REENTRY WEEK” in North Carolina, and commend its observance to all citizens. Good for Cooper and the groups doing this important and often bipartisan work to reverse some of the damage wrought by our state’s ill-conceived and decades-long incarceration obsession. Click here to learn more about efforts to promote second chances for North Carolina’s formerly incarcerated. Let’s hope Cooper’s proclamation helps spur another year of real progress in this important area.